DE STIJL, Dutch for ‘The Style’, was an artistic movement born in the streets of Leiden around 1917 as a reaction to the flamboyance of art deco. It embraces simplicity and abstraction through harmony and order; a fusion of form and function stripped down to geometric elements and primary colours. 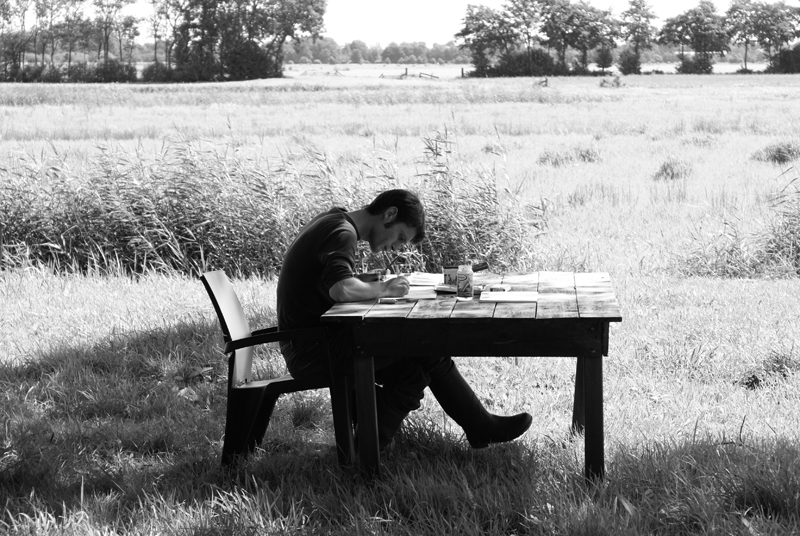 De Stijl artists include Theo van Doesburg and Piet Mondrian, and architects Gerrit Reitveld and JJP Oud. Designers in the Netherlands today are inspired by everything from the chemistry of crystals to childhood memories to the natural patterns of stains. It may not be that obvious, but many have subtle elements in their works that ensure de Stijl’s legacy lives on in Dutch design today. 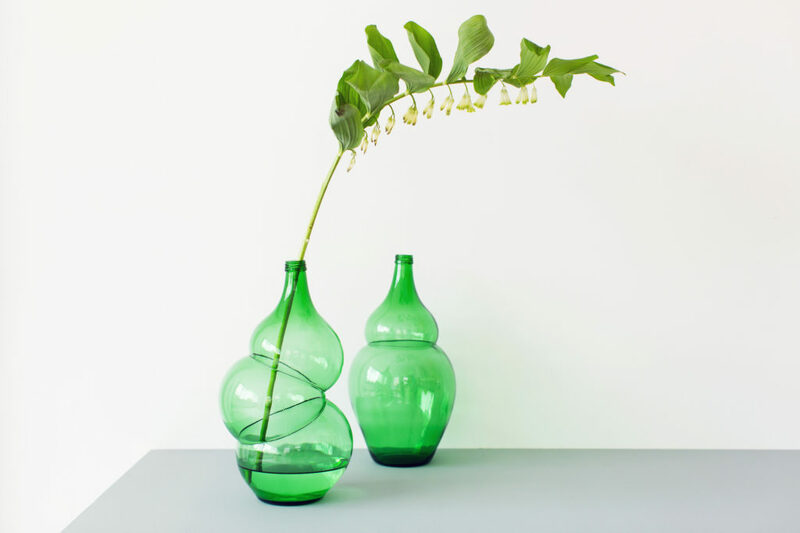 How can simple, mass produced bottles of green glass become unique objects? Klaas Kuiken was intrigued by this question. He built his own glass blowing installation consisting of a modified oven and a compressor, and reformed the bottles’ ‘flaws’ into things of beauty by using his own technique of glass blowing. 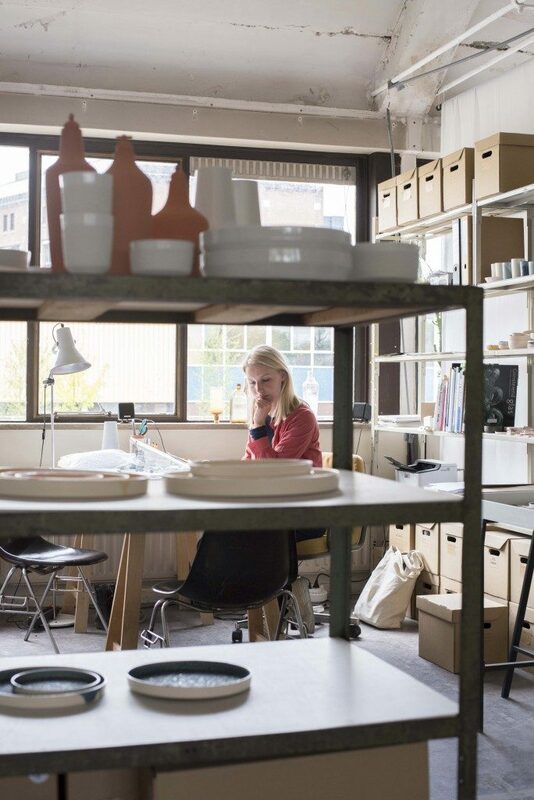 Susanne de Graef is a Dutch designer and owner of Studio Susanne de Graef. The studio works with a strong focus on the interaction of furniture and lighting pieces with its surroundings – a predilection for textile and light. The light beams of the Glint Light, show the essence of light and its effects in a beautifully illustrated geometric pattern. 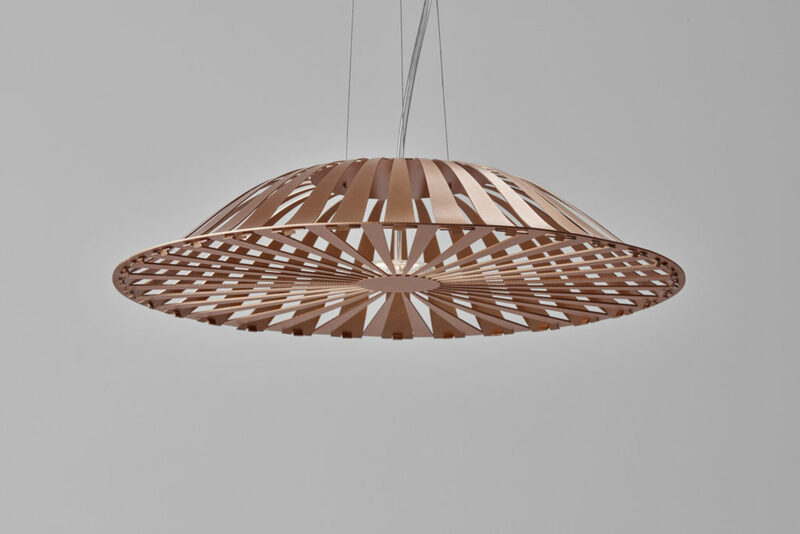 Pattern translates into shape and material, and creates interaction with its surroundings. 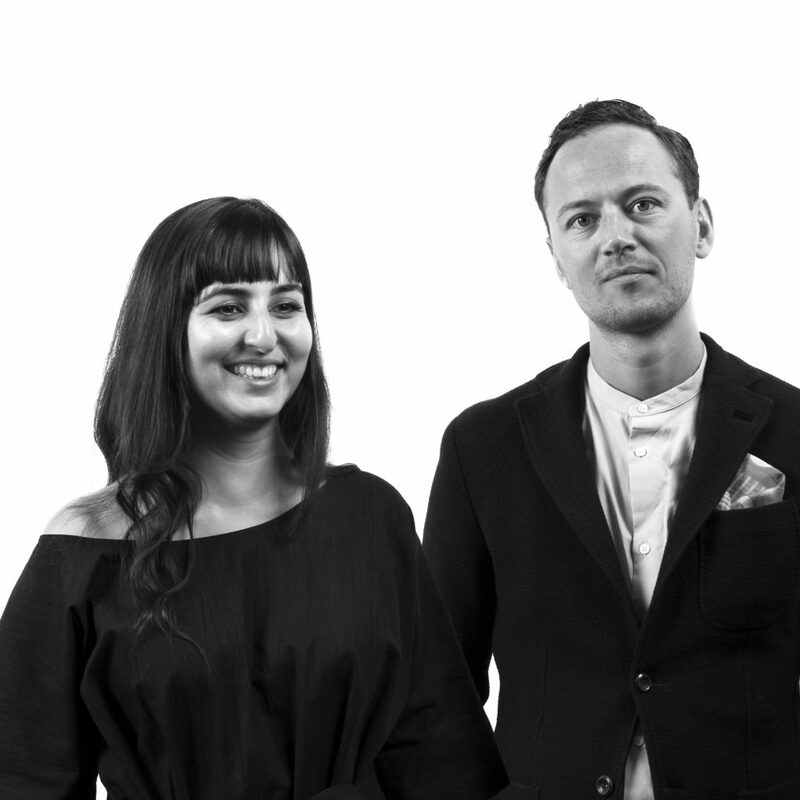 Golnar Roshan and Ruben de la Rive Box: Our studio explores innovative use of materials to design tactile, flexible and engaging products for a mobile generation. Rive Roshan is an experimental studio run by Dutch designer Ruben de la Rive Box and Iranian-Australian designer Golnar Roshan. The studio works at the intersection of graphic, interior and product design. 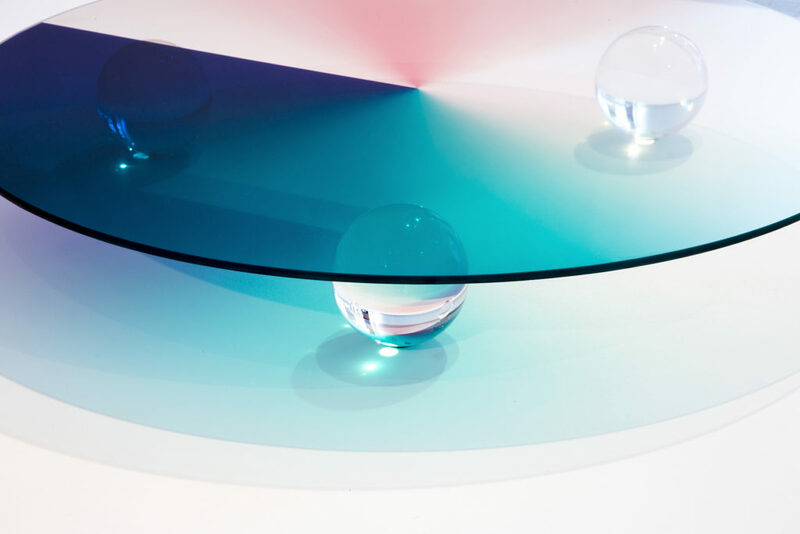 The Colour Table from the studio’s ‘Colour of Light’ collection is a disc of floating glass that explores the interplay of colour through translucent shades. 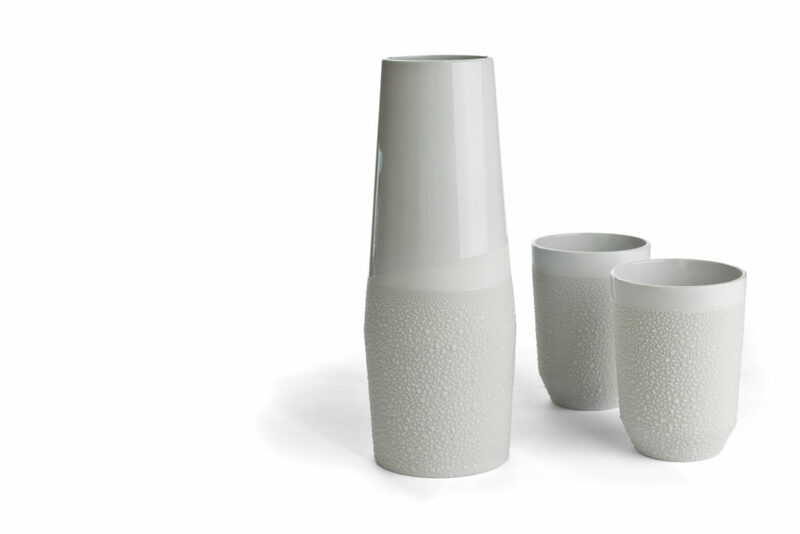 For the Archiving Water Ware glazed vessels Lotte de Raadt uses a self-developed glazing technique called ‘Colored Drops Glazing’ on ceramics to showcase the beauty of water as a precious natural resource. The glazing is arranged on places where you touch the ware by hand enjoying texture that gives grip. Behaving unpredictably like water, the glazing process is designed while the outcome is left to chance. 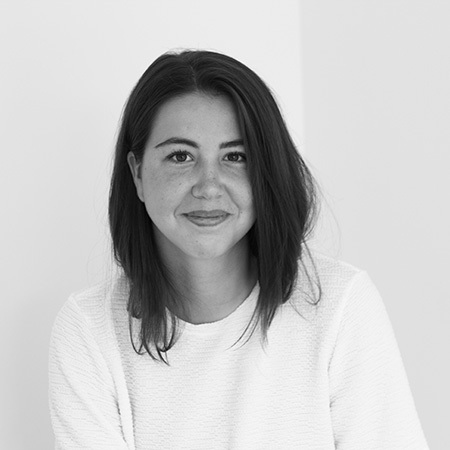 Elise Luttik of Studio Elise Luttik is a 36-year-old designer intrigued by the notion of interactivity, femininity and technology in interiors. 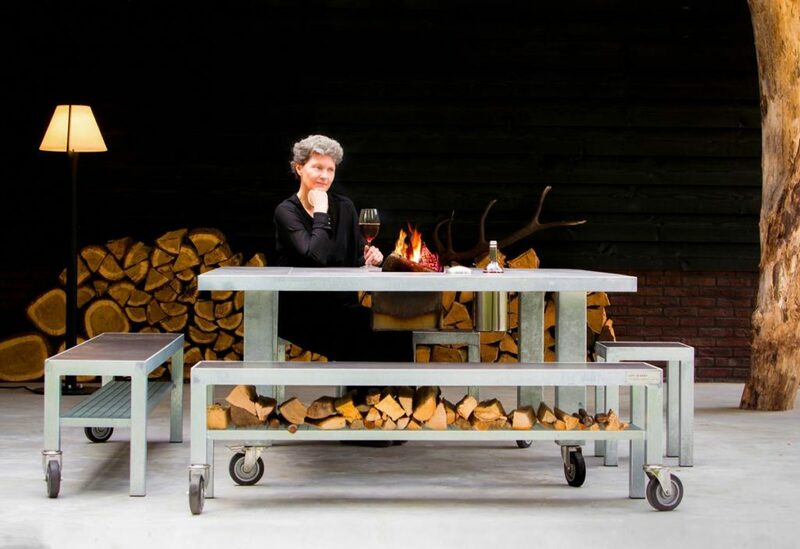 She likes the modern use of interesting materials like wood, fabric, rubber and polycarbonate. 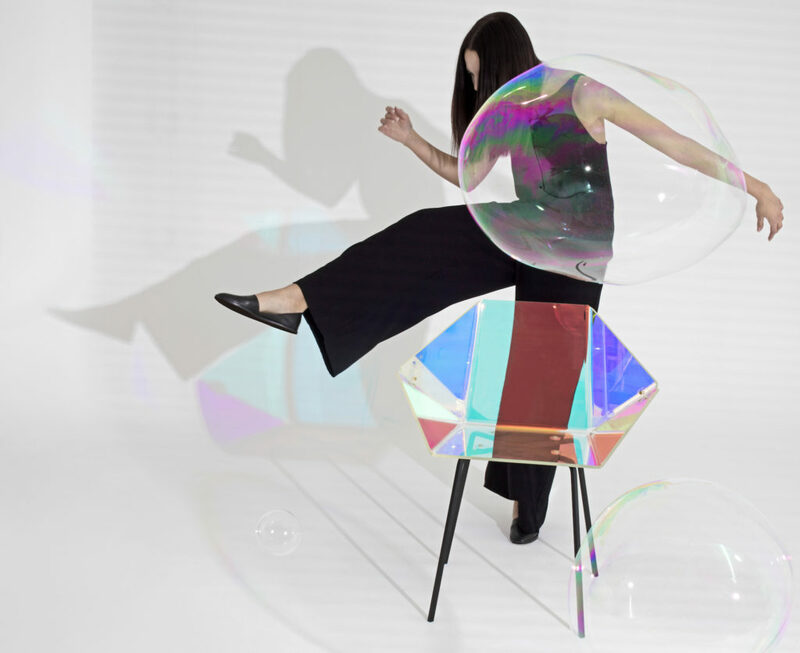 The transparent Prismania Chair is both an artefact and a chair. At one point you can barely see it, take another step and it will show you all the colours of the spectrum due to dichroic film. All her designs are made in the Netherlands. 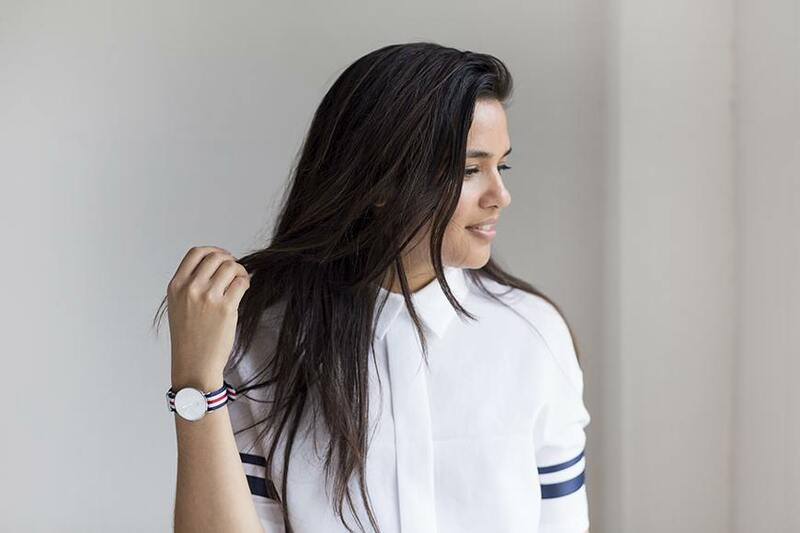 Turkish-born Bilge Nur Saltik is one of the co-founders of Form&Seek collective. 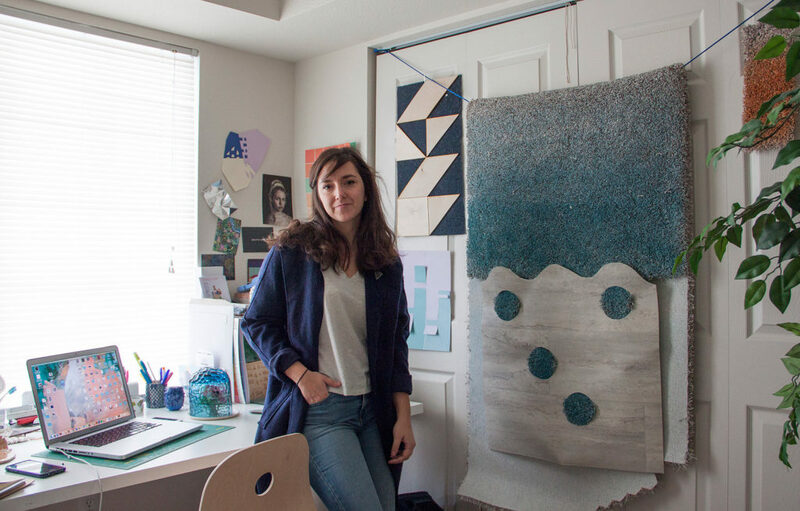 A graduate of the RCA, she designs products in multiple disciplines and mediums, united by a focus on human interaction. 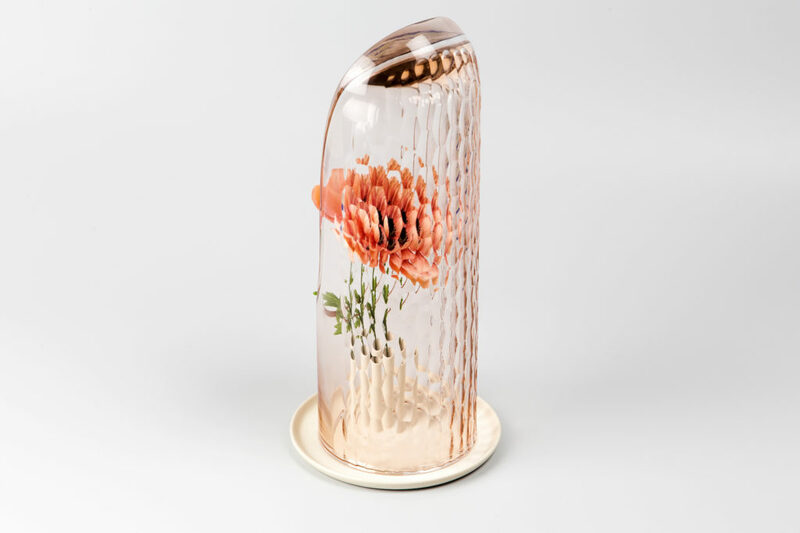 The handcrafted OP vase creates an illusion with its complex pattern of cuts, so that when viewed from different angles, a single flower placed within it, dissolves into an entire bouquet. 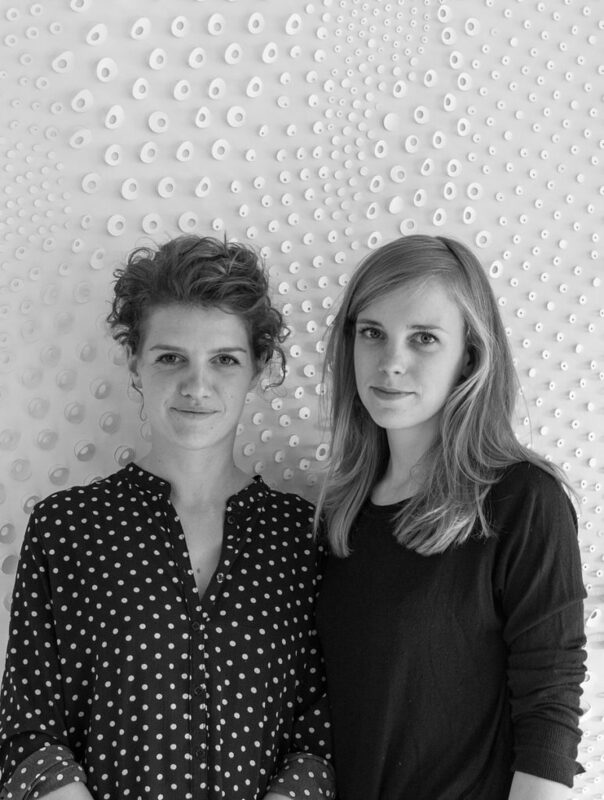 An Eindhoven-based material research and design studio founded by, Alissa + Nienke creates materials, objects and installations in the field of interior design and architecture. 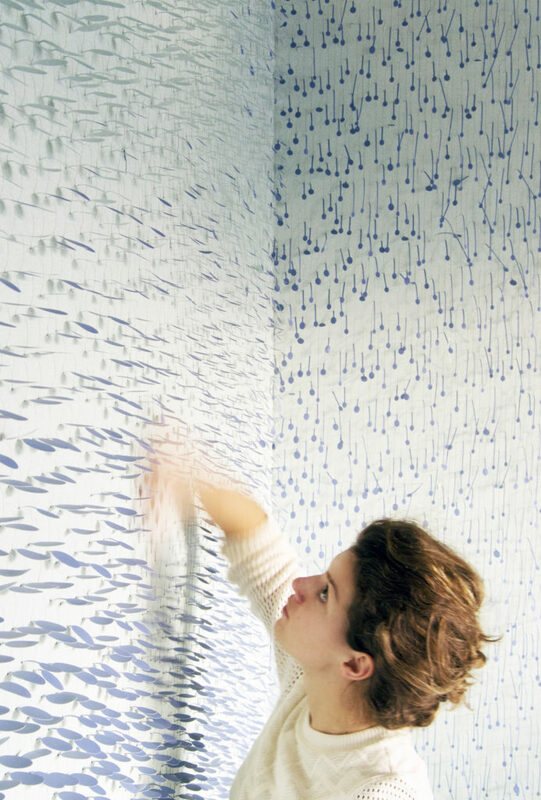 Mirabilia is a three dimensional wallpaper that responds to movements of the air around it. Made of very strong, B1 certified, vinyl coated material it is water resistant, easy to clean and can be applied directly to the wall. 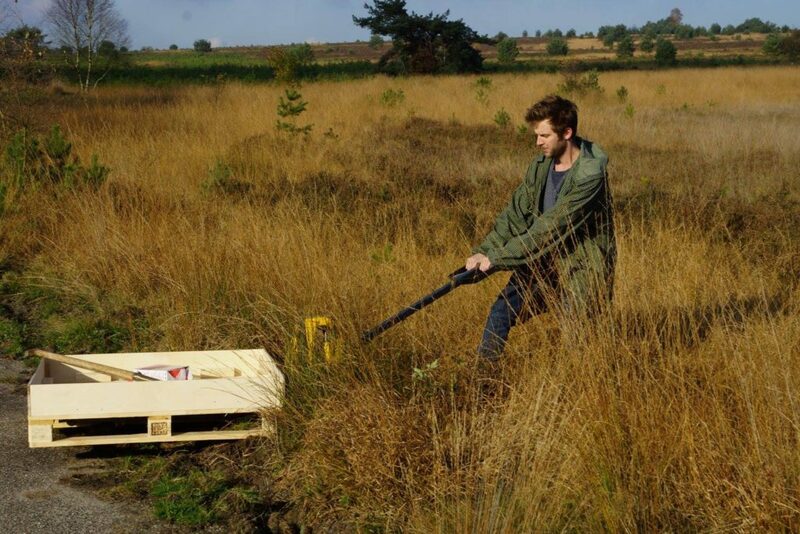 Based in Raamsdonk, Floris Hovers is a designer and trained engineer who creates furniture, lighting and toys celebrated for their engaging simplicity and playfulness. 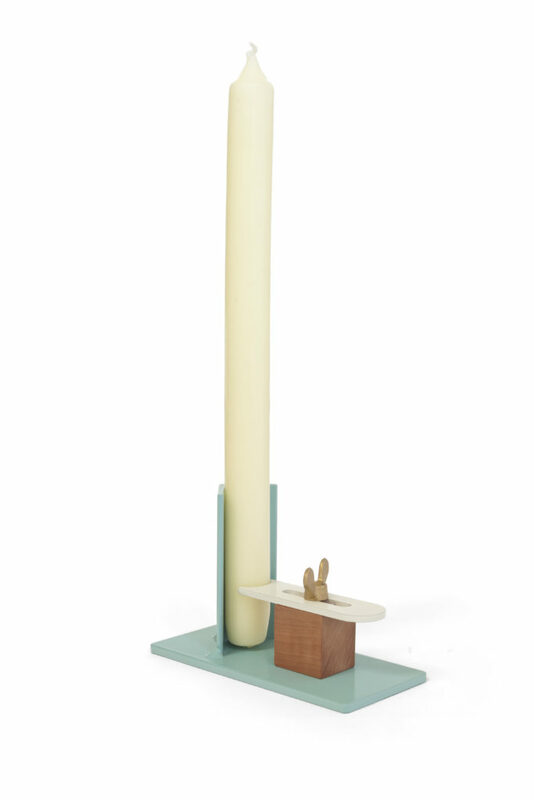 His Fixum candleholder typifies his gift for creating the finest balance of structure and colour, and imbuing even the simplest object with human warmth. 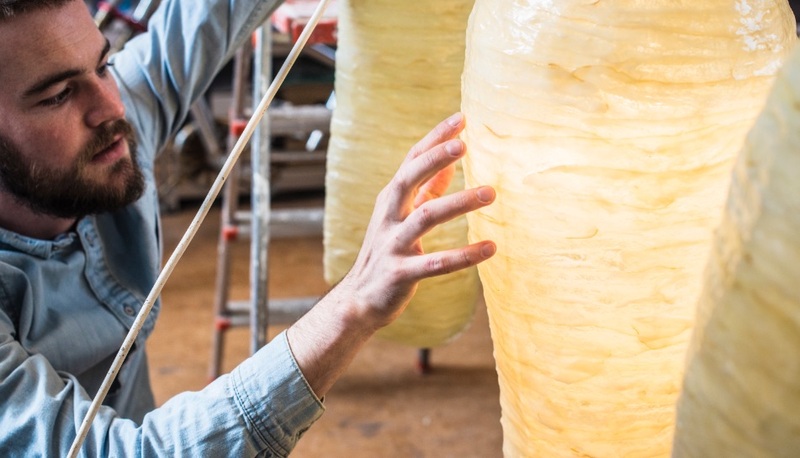 A recent graduate of Design Academy Eindhoven, Puck Dieben translates imaginative ideas into simple, practical solutions. Her work is characterised by graphic forms and playful objects. 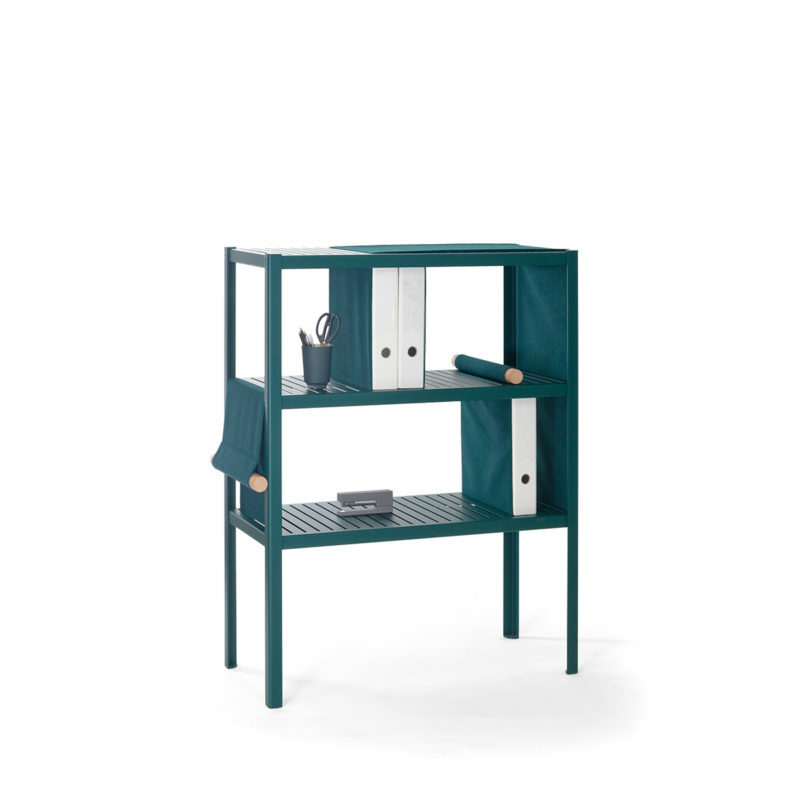 Inspired by childhood memories, Dieben’s Dressed Cabinet for Vij5 collective allow their owners to weave fabric through and around a metal frame, with wooden parts applying tension to the material, thus turning textiles into furniture material. For Louise Cohen, design is meant to do something to its user and to the space in which it is used. It has a practical and a technical side, and also an emotional one. Made in an honest and environmentally friendly way the Life is Easy series outdoor bench is convenient and comfortable, and easy to move; no more fighting over the wood, because everybody can reach it. 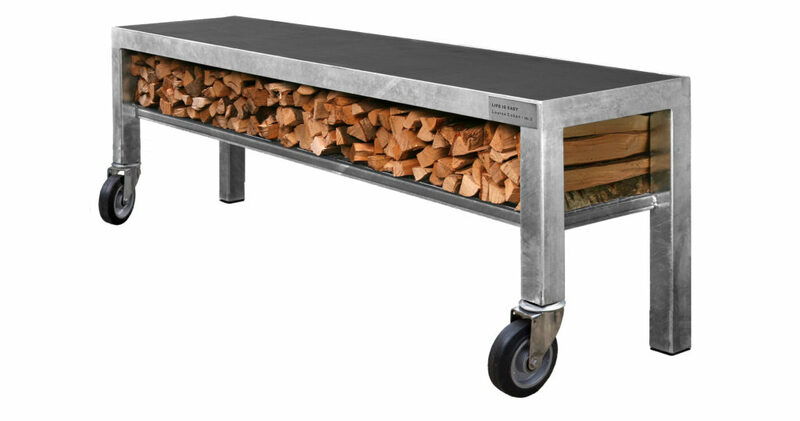 Great for barbecues. Of course you can use it for other things too. 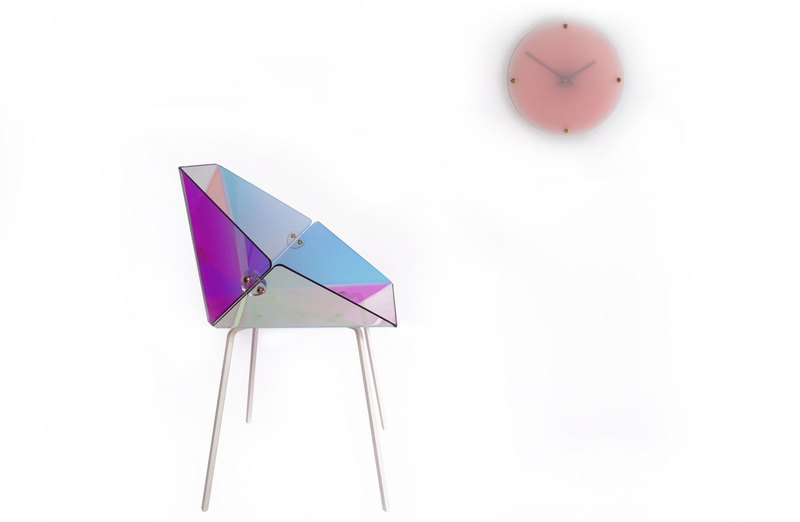 Belgian by birth and now based in Rotterdam, Isaac Monté is a product designer with an interest in mastering and manipulating unusual materials – including crystal. Through his experiments in dissolving minerals in water, he has developed a method of controlling the shape, size and colour of crystal development. 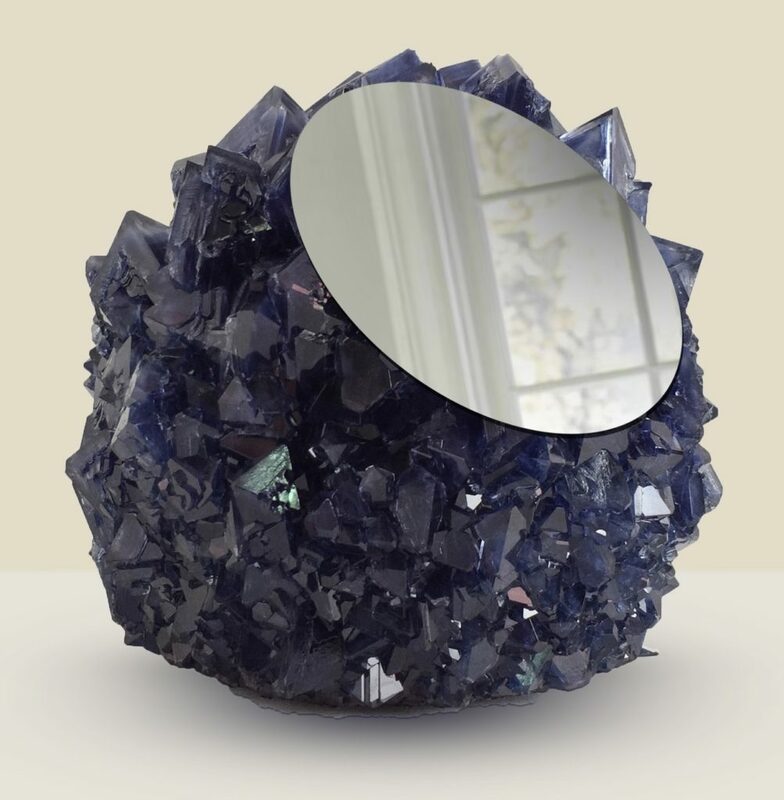 This has led to the creation of his Crystal Series such as mirrors and vases.